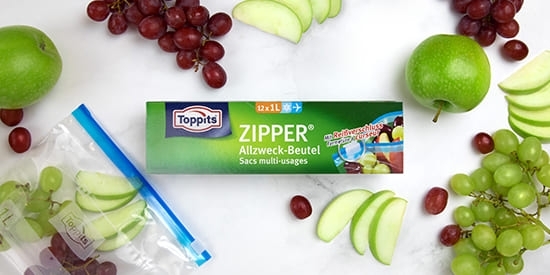 Der Zipper® Allzweck-Beutel als Schutzpolster für deine Snacks. What snacks do you have in your backpack today? Squashed banana, a crushed sandwich or a dented peach? 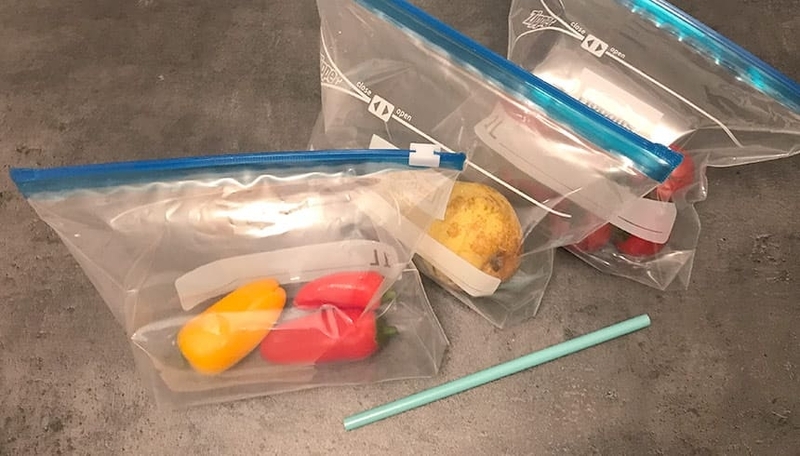 The fact is that most snacks rarely survive half a day in a bag. Unless you protect them with a very special air cushion - the Toppits® Zipper® all-purpose bag! You need some lung capacity for this - simply put the sensitive fruit or snack into a Toppits® Zipper® all-purpose bag and inflate it. A little tip - a straw can be helpful, but is not absolutely necessary. The air in the bag acts as a protective cushion for the snack and it remains completely undamaged. Just let the air escape from the resealable bag before eating and start snacking..